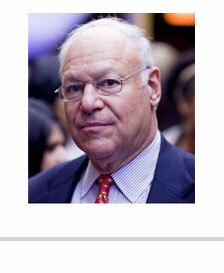 herbert s. winokur, jr. is Chairman and Chief Executive Officer of Capricorn Holdings, Inc., a private investment firm. He also has been Managing Partner of a number of private limited partnerships which invest in, or acquire, companies with the goal of long-term superior capital appreciation through financial or operating restructuring and industry consolidation. Capricorn’s portfolio investments have encompassed companies whose revenues exceeded $3 billion and which employed more than 25,000 people. Principal investors in the partnerships included major endowments, pension plans, financial institutions and private individuals. Examples of prior portfolio investments include: DynCorp, one of the nation’s largest government information technology and technical service contractors; NATCO Group, Inc., the largest oil field services company focused on oil and gas separation and related activities; and CCC Information Services Group, Inc., a major provider of software tools to the automobile insurance and collision repair sectors. Capricorn Holdings presently invests in a number of early-stage growth companies and in various hedge funds. Mr. Winokur’s previous positions include, from 1974 to 1987: Senior Executive Vice President, Member of the Office of the President, and Director – Penn Central Corporation, where he was responsible for all business units, with revenues of approximately $2.5 billion. He successfully developed and implemented programs that reduced corporate overhead costs by more than $40 million annually; reorganized Penn Central’s technology entities to focus on higher-return and higher-growth product lines; and initiated and completed a number of major restructuring transactions and divestments. At Pacific Holding Corporation, as Senior Vice President he initiated the acquisition of Cannon Mills Corporation, a $400 million transaction, and led the structuring of the acquisition by Occidental Petroleum of Cities Service Company for $4.1 billion, and subsequent divestitures of assets. At Victor Palmieri and Company, he served as Chief Executive Officer of Pinehurst, Incorporated, a 9,500-acre premier golf resort and shelter community in North Carolina and initiated and assisted in the purchase by pension funds of $150 million of diverse real estate assets from First National Bank of Chicago. From 1974-1979, Mr. Winokur was a Vice-President of Pennsylvania Company and Buckeye Pipeline Company, responsible for planning and implementing energy and entertainment industry growth strategies, and for pricing and acquisitions for these non-rail subsidiaries of Penn Central. Between 1970 and 1974 he co-founded and was Chairman of the Board at ICF, Inc., Washington, D.C. ICF is a management consulting firm, specializing in policy planning for senior government and business officials. The firm now is known as ICF International (ICFI: NASDAQ). Projects included designing implementation plans for the D.C. School System to respond to court-ordered desegregation; studying the cost of health professional education for the Institute of Medicine (National Academy of Sciences), and establishing an office of international energy policy for the U.S. Department of Treasury. During 1967 to 1970 Mr. Winokur served as a U.S. Army Officer, assigned to the Office of the Secretary of Defense, with staff responsibilities for the design of manpower, aircraft, and financial control systems, reporting to the Assistant Secretaries of Defense (Systems Analysis and Comptroller). He also served as a Consultant to the President’s Cabinet Task Force on Oil Import Controls in 1970. Mr. Winokur serves as a Trustee of Ithaka Harbors, Inc. and is Co-Founder and Chairman of Squash Haven, Inc. He is an Honorary Director of UCLA Medical Center’s Board of Advisors, a past Trustee of the National Humanities Center and Greenwich Academy, and a past-Co-Chair of The New York Historical Society. He is a member of the Council of Foreign Relations, and has served on a number of public and private company boards. He served as a Fellow of the Harvard Corporation and a Director of Harvard Management Company, which oversees the Harvard University endowment. Mr. Winokur earned AB, AM and PhD degrees from Harvard University, the last in Decision and Control Theory. He lives in Greenwich, Connecticut with his wife, Dee. Click here for a complete list of board positions.